When Doctors Venkman, Stantz and Spengler suddenly find themselves downsized from the University's parapsychology department, they decide to go to the entrepreneurial route, chasing down ghastly ghosts, unappetizing apparitions and the occasional insolent succubae. But the paratroopers of the paranormal face their greatest challenge when the beautiful Dana Barret discovers her refrigerator door leads directly to the gate of hell! 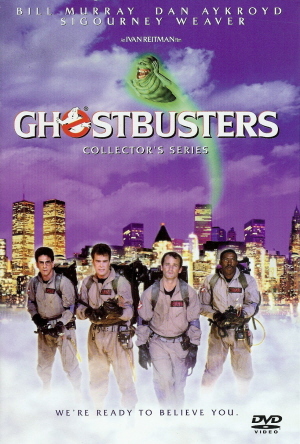 Now with the whole world watching, it's up to the Ghostbusters to keep Manhattan from becoming a madhouse!